Do you know the difference between the tapas, pintxos and montaditos? They are all small portions of food, so it’s a perfect introduction to our culinary and gastronomic treasures. In the heart of the city, this square and boulevard is famous throughout the world. Pure Mediterranean in nature, it leads visitors down to the sea through a variety of contrasts: old-style shops, ultramodern cafes, landmark buildings like the Liceu Opera House, and in the centre of the boulevard there are birds, street artists, newspaper stalls, flowers etc. 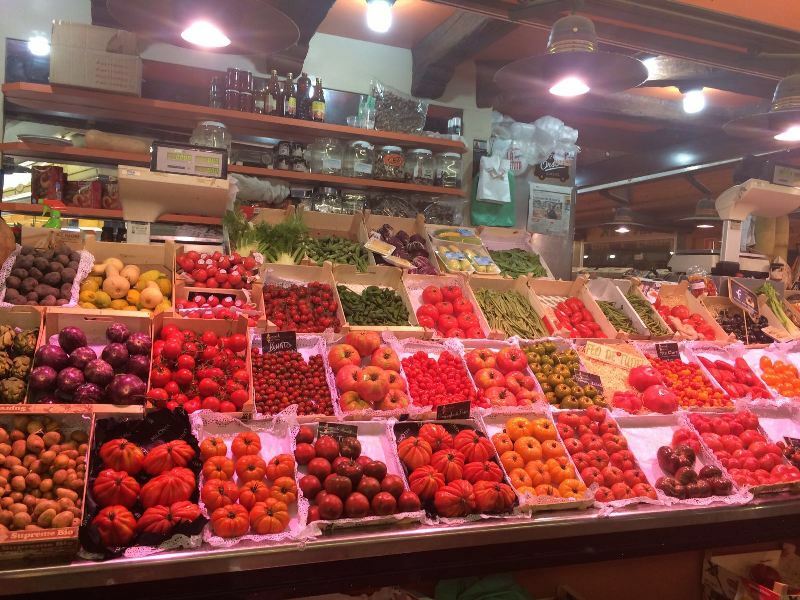 Barcelona’s most popular and exotic market, it began in the 12th Century when farmers started to sell fruit and vegetables in the Pla de L’Os. Later, in the 16th century, the first flower stalls appeared. Open from 8 to 8, the market sells quality fresh produce from around the world. 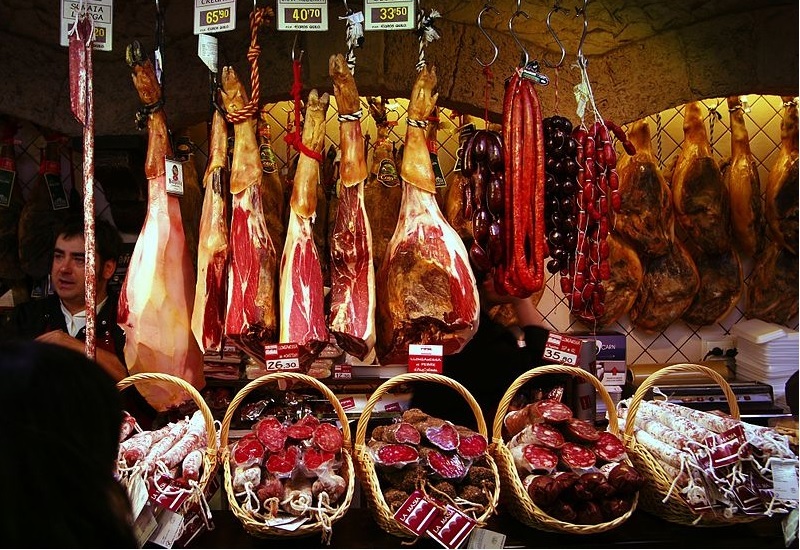 In this incomparable setting our guide will show you many local products such as Iberic ham to Aperitif: > We can start off with a Tapa and glass of cava in one of the local bars. Tapas are appetizers, small portions of tasty food that accompany drinks, especially wine or sherry. We can start off with a Tapa and glass of cava in one of the local bars. Tapas are appetizers, small portions of tasty food that accompany drinks, especially wine or sherry. Gothic Quarter: This is the old city of Barcelona where you find the main public and religious buildings, places full of history and small arrow streets. What’s the difference between a tapa, montadito and a pintxo? 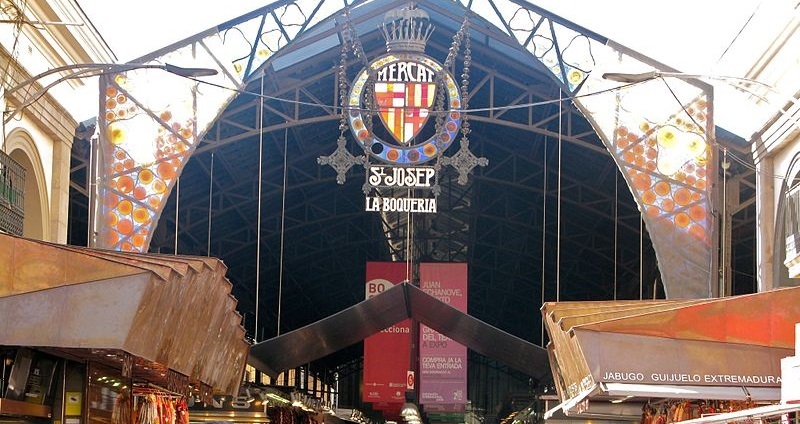 There are hundreds of places to taste all kinds of wines and tapas including the typical Basque bars with “montaditos”- savouries “mounted” on bread and drunk with txacoli, a Basque white wine, and the Catalan custom of accompanying small servings of the bars specialities with bread rubbed with tomato. You will be able to choose from a selection of tapas paired with some delicious Spanish wine.